Read our comparison of Frontpoint vs. LiveWatch, including analysis of packages, pricing, equipment, contracts, and customer service. Here’s a snapshot of what makes each company unique. LiveWatch includes a communication system called ASAPer with all their plans except the basic. ASAPer stands for “As Soon As Possible emergency response” and will contact you however you’ve opted to be notified—text, email, or phone call—when your alarm is triggered. Traditional systems may take as long as five-and-a-half minutes to respond to an alarm, but LiveWatch’s systems with ASAPer will notify you within 30 seconds. Frontpoint’s 30-day risk-free trial is a standout feature in an industry where most providers lock you into a contract before you’ve had a chance to try them. If you buy from Frontpoint and don’t like what you’ve bought for any reason, you can return everything within 30 days without paying a dime, even for shipping costs. Customer-friendly practices like this are one of the reasons people love Frontpoint. The company piles on a few additional features that LiveWatch lacks, including life safety monitoring, fire monitoring, energy management control, and environmental detection. Both Frontpoint and LiveWatch rely on 100% wireless equipment backed by cellular monitoring, which we always recommend as a way to keep your home even more secure. The two companies also offer Crash & Smash protection on their mid- and high-tier plans, which isn’t the case for every home security provider. If an intruder breaks in and attempts to destroy your home security system, it will send a message to the monitoring center and notify the authorities. 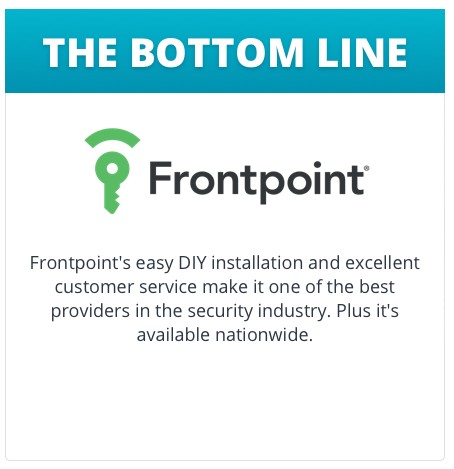 Going purely off of customer reviews, Frontpoint has a big advantage. Customers of Frontpoint rave online about the company’s fantastic customer service, including quality support for the DIY installation, rapid response time after an alarm is triggered, and professionalism when they need to ask reps a question. 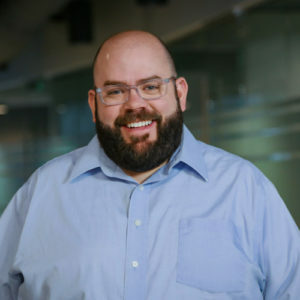 Customers also appreciate Frontpoint’s lack of hidden fees and reputation for transparency. Both Frontpoint and LiveWatch have A+ ratings with the Better Business Bureau and highly favorable online reviews, but Frontpoint is particularly good about reaching out to anyone with a complaint and working with them to reach a satisfactory outcome. LiveWatch is no slouch in the customer service department either, with only 17 customer complaints on their BBB page after nearly 11 years in business, but we have to give the edge to Frontpoint for customer service due to the sheer number of satisfied customers with positive reviews on Yelp, Trustpilot, Consumer Affairs, and other sites. One of LiveWatch’s best selling points is its 12-month contract and the fact that it lets you cancel anytime without paying another dime. After the initial 12 months, LiveWatch switches to month-to-month and never charges you a fee for canceling with them. By comparison, Frontpoint’s standard contract is a three-year term and it won’t officially let you out early, but customers have revealed Frontpoint to be more willing to work with them than many other home security providers. You can opt for a one-year contract with Frontpoint, but they give you a substantial instant discount for choosing three years instead. Frontpoint’s cancellation policy requires you to pay 80 percent of the remaining balance as an early termination fee. In the contracts category, we have to give the nod to LiveWatch. While Frontpoint has a reasonable 12-month or 36-month contract, there’s really nothing comparable to LiveWatch’s “cancel anytime with no fees” arrangement in the home security industry. Both Frontpoint and LiveWatch have DIY installation only. That means you get to install the security system on your own using instructions and possibly tapping into customer support, without having to depend on a professional to come into your home and install it for you. But don’t let the sound of a DIY installation without the help of a professional throw you off. Fortunately, both systems are quite easy to install right out of the box with nearly each piece of equipment needing a very simple peel-and-stick to install. Both companies use GE-manufactured equipment. However, Frontpoint has opened up their equipment selection to a wide variety of supported brands. That means you have more equipment to choose from with Frontpoint, particularly when it comes to home automation solutions. If you go with LiveWatch, expect to look for equipment through a third party. Most recently, LiveWatch has made a particular upgrade in terms of their control panels. Specifically, the Simon XT keypad is out and the introduction of the Simon XTi 1.0 touchscreen is now the new basic control panel. This new control panel supports two-way voice control and offers quick buttons for immediate emergency contact. So LiveWatch now offers a touchscreen control panel option, regardless of your equipment package. Read our full LiveWatch equipment and cost breakdown overview to see their full equipment selection. Frontpoint is a little different when it comes to equipment, offering more customization. They include their own touch panel, but you select the rest of the package. On their website, Frontpoint has you specify whether you’re a homeowner, rental, or business, and then you’ll get a recommendation for the equipment you should include in your package, such as sensors, cameras, and home automation controls. Read our full Frontpoint equipment and cost breakdown overview to see their full equipment selection. There aren’t many companies that offer professional monitoring for the price of $29.95 per month, so LiveWatch definitely has an advantage there if you’re looking for a bare bones, entry-level service. However, the real comparison is between the three higher tiers of LiveWatch monitoring versus Frontpoint’s three monitoring plans. These are largely similar in price and come with a range of desirable home security and home automation features. To add, Frontpoint beats out LiveWatch when it comes down to equipment pricing. In many instances, while the quality and even design and functionality may be the same, Frontpoint comes out on top with the lower prices. Many common items like the smoke/heat detector, image sensor, or motion detector are priced just slightly higher with LiveWatch than they are with Frontpoint and these example items are fairly popular and practical to include in most home security systems. In order to decide which provider is right for you, it might be a good idea to take a closer look at the features and equipment they offer. The sweet spot is usually the mid-tier plan—Frontpoint’s Interactive plan and LiveWatch’s Total Home plan. If you want to go all out and have cameras, advanced home automation, interactive video monitoring, and the like, you’ll want to spring for the most expensive options. If you’re looking for the best value overall, we recommend Frontpoint as one of the best home security providers with a vast equipment selection, great features, and most of all, industry-leading customer service at a reasonable price. LiveWatch is a fine choice in its own right, but with an unparalleled history of customer-friendly practices, Frontpoint is the victor in our comparison. Do you have experience with Frontpoint or LiveWatch? Let us know what you think in the comments.